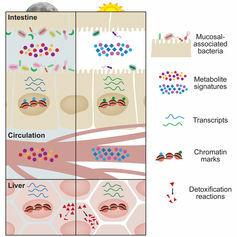 Richard G. “Bugs” Stevens, University of Connecticut, We’ve known that bacteria live in our intestines as far back as the 1680s, when Leeuwenhoek first looked through his microscope. Yogurt companies use that information in the sales pitch for their product, claiming it can help keep your gut bacteria happy. The bacteria growing on our skin have also been effectively exploited to sell the underarm deodorants without which we can become, ahem, malodorous. Until fairly recently our various microbes were thought of as freeloaders without any meaningful benefit to our functioning as healthy human beings. 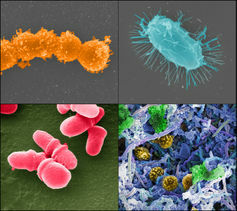 Examples of the microbes associated with healthy human beings. 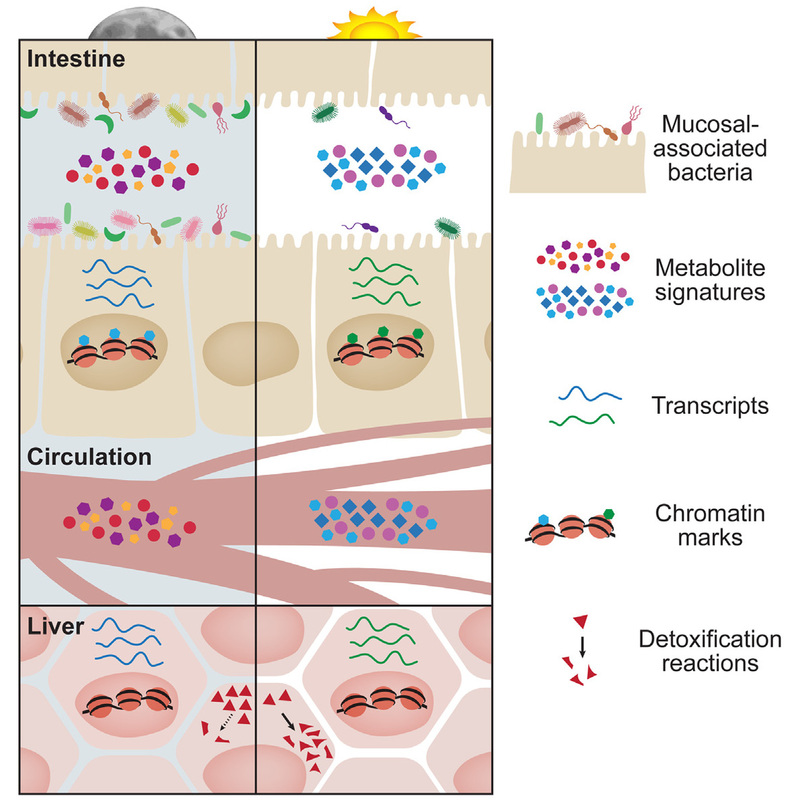 Changes in microbial movements and metabolite production over the course of the day influence host tissues. 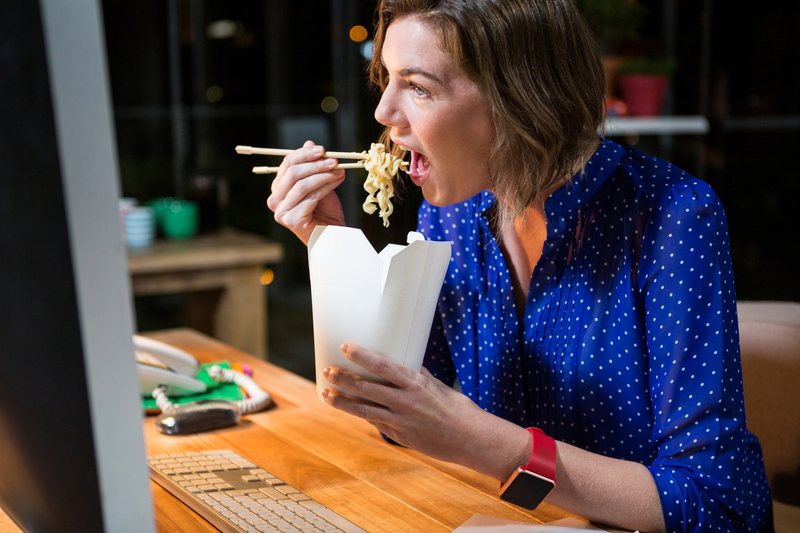 Shift work might have effects on you and your microbiota.